Christ - Holy Glorious Pascha** (Easter). All elements of Orthodox liturgical piety point to and flow from Pascha, the celebration of the New Christian Passover. Even the “fixed feasts” of the Church such as Christmas and Epiphany which are celebrated according to a fixed date on the calendar take their liturgical form and inspiration from the Paschal feast. The Orthodox Church Year begins, as does the Jewish Year, in September, and Pascha may never fall before Jewish Passover. Western Easter can and has fallen before Jewish Passover on more than one occasion. The Church considers that to be inappropriate. The first major feast of the year is the Nativity of Mary the Theotokos, and the last major feast is the Dormition (Assumption) of Mary - the feast of the birth of the one who gave birth to He Who RESURRECTED from the dead. Then we celebrate the minor feast of a saint, the life of one who lived her life in the hope of the Resurrection. 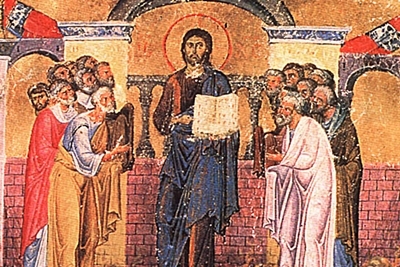 The hymnody within each of the major and minor feasts always points to the Resurrection, and when the intercession of a saint is requested it is because the Hope of the Resurrection is so sure that we can know that a saint is in the presence of Our Lord interceding for us and worshiping alongside with us. In our major feasts we do not simply celebrate the Resurrection, but we also recognize in our fasting (... not My will, but Yours be done... ) the suffering that came before that Resurrection and that is among us before Christ's Second Coming and our personal resurrection. 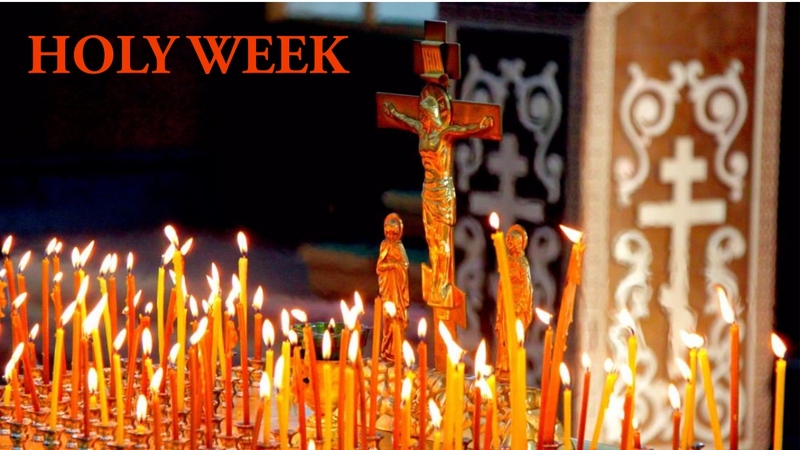 In addition to the Paschal cycle of worship with the “weeks after Pentecost,” and existing together with it, is the Church’s worship for each particular day of the year, each of which is dedicated to certain saints or sacred events. Each month has a special liturgical book called the Menaion which contains the specific service for each day of that month. The solemnity of the day is proportionate to the importance and popularity of the given saints or events to be commemorated. May this coming year bring boundless opportunities to bear witness to the truth of the Gospel in our increasingly anti-Christian and worldly society. Let us also resolve, with God’s aid, to increase our personal spiritual striving, in prayer, fasting, and repentance. * -The Church Calendar consists of a series of cycles by which feasts are celebrated in the Orthodox Church. There are currently three calendars in use in the Church, the Julian Calendar ("Old Calendar"), Revised Julian Calendar ("New Calendar"), and Gregorian Calendar ("New Calendar").